The Supreme Court held that Special Leave Petitions filed in those cases where death sentence is awarded by the courts below, should not be dismissed without giving reasons, at least qua death sentence. 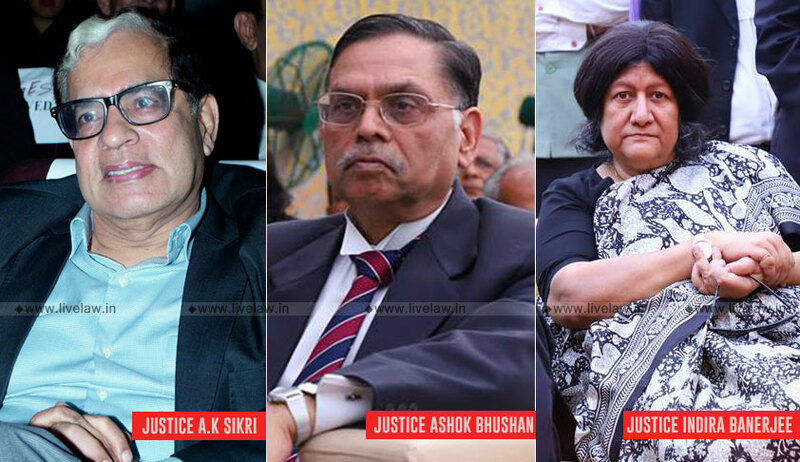 The three judge bench comprising Justice AK Sikri, Justice Ashok Bhushan and Justice Indira Banerjee has recently recalled two such orders in two different cases in which it had dismissed SLPs filed by the accused against imposition of death penalty. “There may be cases where at the Special Leave Petition stage itself, the Court may find that insofar as conviction is concerned there is no scope for interference at all as such a conviction for offence under Section 302 is recorded on the basis of evidence which is impeccable, trustworthy, credible and proves the guilt of the accused beyond any shadow of doubt. At the same time, if death penalty is to be affirmed even while dismissing the Special Leave Petition in limine, it should be by a reasoned order on the aspect of sentence, at least”, the court said while addressing the contentions raised by Senior Advocate Shekhar Naphade, who appeared for review petitioner,whose death sentence was affirmed by the Apex court in January 2015, by dismissing the SLP filed by him in limine. The senior counsel relied on Mohammed Ajmal Mohammad Amir Kasab alias Abu Mujahid vs. State of Maharashtra to contend that, in those cases where death sentence is imposed, the court should summon the record when it is making the final order even at the stage of special leave petition. The bench, referring to provisions of the Code of Criminal Procedure and the judgment in Kasab case, observed that particularly, in death sentence cases there has to be an independent examination by this Court also, 'unbound by the findings of the trial court and the High Court'. Such approach is the 'time-honoured practice of this Court’, it added. The court also said that proper exercise of sentence discretion calls for consideration of various factors like the nature of offence, circumstances—both extenuating or aggravating, the prior criminal record, if any, of the offender, the age of the offender, his background, his education, his personal life, his social adjustment, the emotional and mental condition of the offender, the prospects for the rehabilitation of the offender, the possibility of his rehabilitation in the life of community, the possibility of treatment or training of the offender, the possibility that the sentence may serve as a deterrent to crime by the offender or by others. The court also referred to Mohd. Arif Alias Ashfaq vs. Registrar, Supreme Court of India, where it had made departure from the rule of hearing the review petitions in chambers by making an exception to this rule and held that when review petition is filed seeking review of the order of this Court affirming death penalty, such a review petition should be heard in the open court and by a Bench of three-Judges.